The Burt Foundation has been giving grants for over 30 years to deserving organizations and believes it is time for review and restructure of The Burt Foundation’s processes and procedures regarding grant distribution. That is not to mean The Burt Foundation is going away or dissolving. 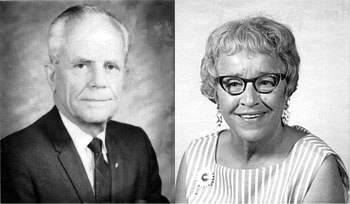 The time spent investigating new options will be crucial to ensure The Burt Foundation is maintaining the philanthropical efforts of the late Nathan B. and Florence R. Burt for many years to come. The Board of Directors hopes that the organizations that have become so familiar to The Burt Foundation will not be inconvenienced by this hiatus, but The Board feels it is necessary to look over the way The Burt Foundation has been distributing its funds in order to find the best possible way those funds will benefit the organizations and communities they serve. Thank you for your efforts to serve our communities and state. The Board of Directors looks forward to working with you in the future. The Nathan B. and Florence R. Burt Foundation is a non-profit corporation incorporated on December 13, 1984, operating as a private foundation as defined in Section 509(a) of the Internal Revenue Code (IRC), and is qualified as a tax-exempt organization pursuant to IRC Section 501(c)(3). The Foundation is endowed and does not seek contributions from others, but dispenses grants outright or on a matching/challenge basis, primarily to tax-exempt charitable and educational organizations. The Foundation was established by the late Nathan and Florence Burt, the founder of the widely formerly known Burt Chevrolet, and other auto retailing businesses. The Foundation generally restricts its grants to organizations dealing with and affecting the needs of children and senior citizens, primarily in, but not limited to, the Denver metropolitan area of Colorado. A grant application for specific purposes, programs, or needs rather than general administrative or operational costs.